ELUVEITIE - ORIGINS VINYL (2LP BLACK) | Online Shop | Wizard LTD. 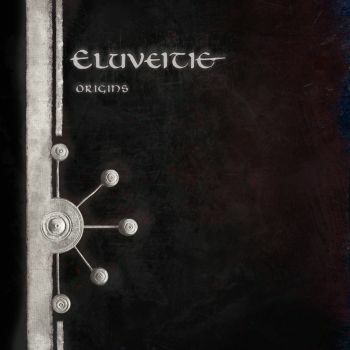 Album: "ORIGINS VINYL (2LP BLACK)"
With the new line-up solidified, ELUVEITIE made history this year as they become the first ever metal band to receive an award at the renowned Swiss Music Awards - the Swiss Grammy Awards equivalent. The band won the &apos;Best Live Act National&apos; category, an entirely audience- voted award. Since taking home their Swiss Music Award, ELUVEITIE entered Swiss New Sound Studio to work on their sixth studio album, »Origins«. The band decided to work with legendary producer Tommy Vetterli (KREATOR, CORONER). »Origins« deals with the Celtic mythology, “or to be more precise, with aetiological tales from Gaul”, commented vocalist and front man Chrigel Glanzmann. Glanzmann also created the album artwork for this new offering and goes on to explain: “The album cover of »Origins« is designed after the hammer/club-shaped &apos;halo&apos; of Sucellos, as seen on a statue that was found in a shrine of a gallo-roman household in today&apos;s France. It was created under the scientific supervision of experts from the University of Zurich“.